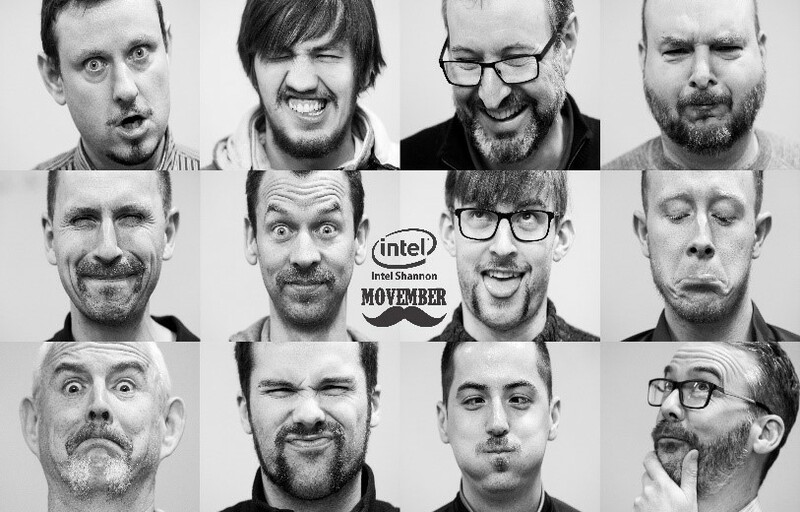 During the month of November each year people across the globe take part in a ‘Movember’ movement which involves the growing of moustaches to raise awareness of men’s health issues, such as prostate cancer, testicular cancer, and men’s suicide. From humble beginnings back in 2003 the Movember movement has grown to be a truly global one with millions of people participating in the initiative each year. 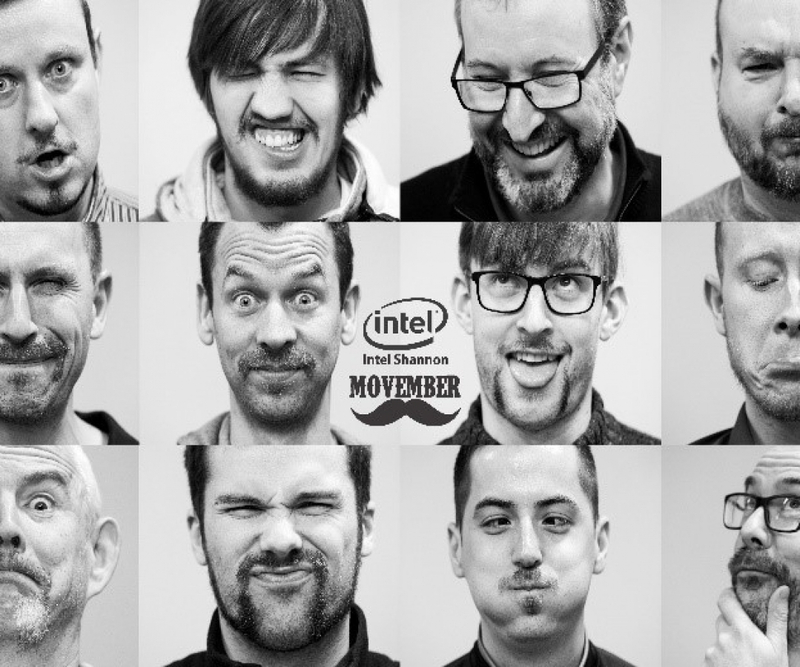 This year 18 employees from Intel Shannon took part in the Movember movement, growing moustaches and beards during the month of November in a bid to raise awareness and funds for the Movember Foundation. The Movember Foundation is a leading men’s health charity that funds projects around the world that are transforming the way research into men’s health is done, and the way health services reach and support men. 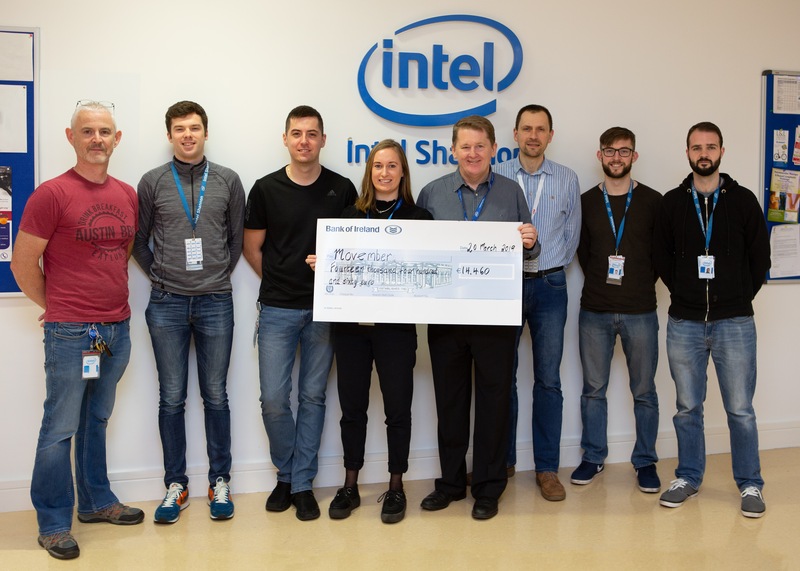 Last week Holly Green from the Movember Foundation in Ireland visited Intel Shannon where she was presented with a cheque for €14,460 which was raised by employees. The Shannon team made the second largest Irish technology company donation and the seventh largest overall team donation across Ireland for 2018.